You should know about now that I am really into “mommy time”aka “me time” aka “PAMPERING” aww yes. There are a lot of people out there who love ‘Me Time’ . It’s so important for you to have that whether you work a lot and stressed, or a mommy like me who just needs quiet time..or if you’re sick and need that rest. I personally love bath time. I have a whole collection of bath bubbles, body washes …etc for my bath time. I now have a caddy! oh yeaaah. I love this thing. You can find it by clicking HERE. (AMAZON) . The kids love it too.. lol. So believe me when I say a friend, mom, cousin..etc would love this for a Christmas Gift! Or for yourself. haha. 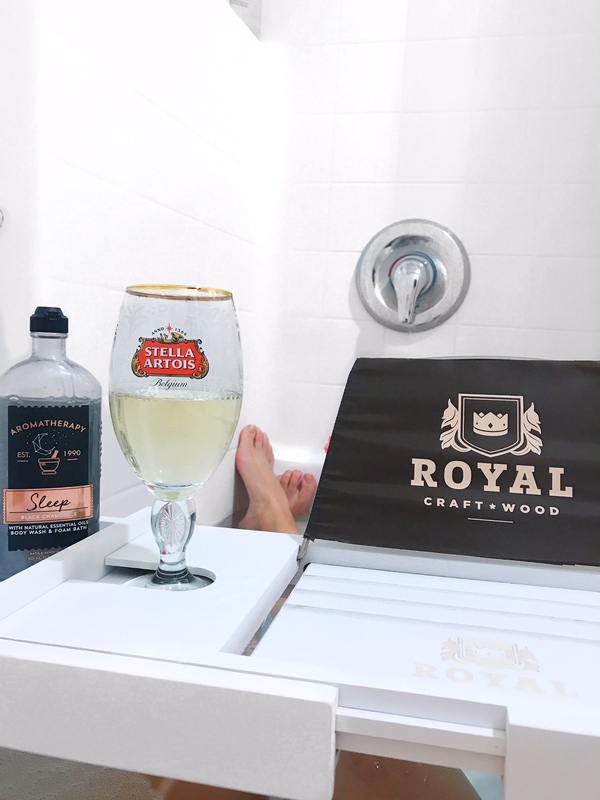 This is the Royal Craftwood Bamboo Caddy Tray. It has a wine holder and a book holder! YES!! It also comes with 4 silicone grips so you don’t have to worry about spilling your wine with the caddy slipping. It’s 100 % natural too! Thumbs up! Kid approved too! So there you have it ! Another amazing gift idea! You can even buy the sleep bath foam I got from bath and body works or any other bath bubbles, oils, wine, a nice book, shampoos and make it a bundle gift.